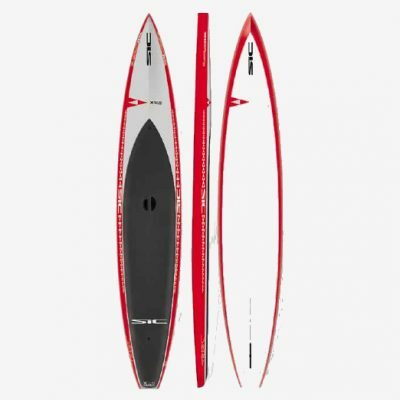 The Bayonet is shaped with a flat bottom (planing hull) and is offered in a 14.0 length without F.A.S.T, however, comes stock with a 12k carbon Weedless fin and is constructed in SCC+ (Single Carbon Composite + InnegraTM) construction. 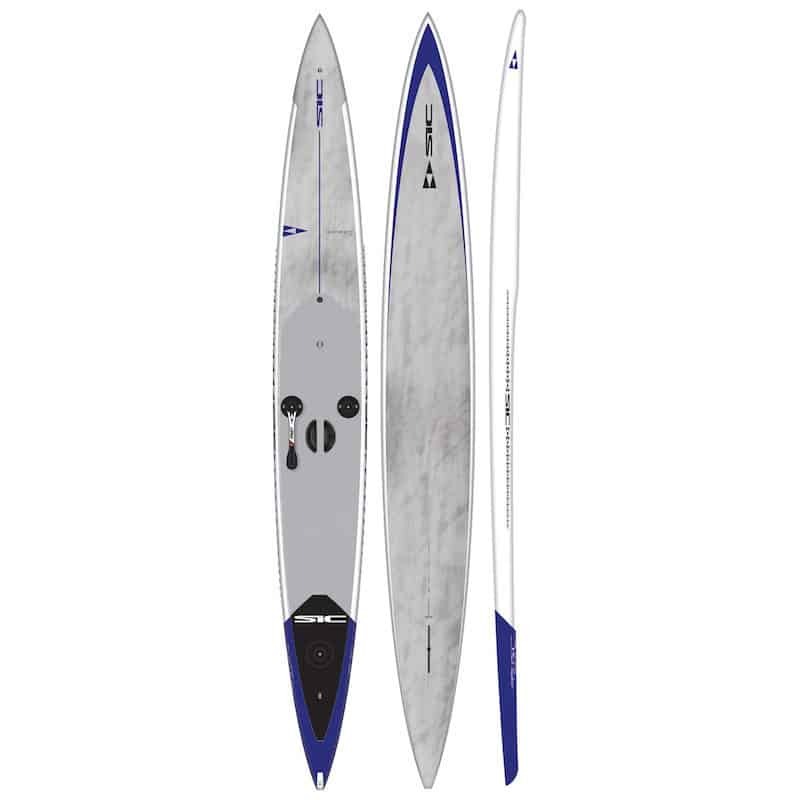 The Bayonet 17.1 is built with DCC+ (Double Carbon Composite + InnegraTM) for a super stiff and durable hull. Also equipped with F.A.S.T and a 12K carbon weedless fin. 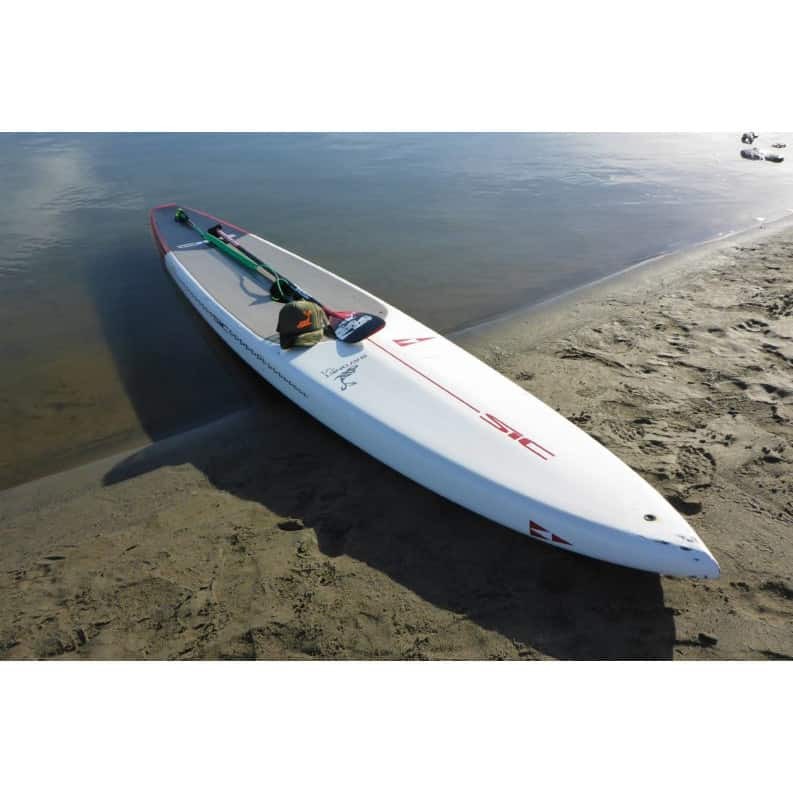 Both sizes feature an EZ-Grab carry handle, leash plug in the tail and GoPro mount on the nose. The Bayonet is a close replica of a board that was designed by Mark Raaphorst/SIC. The rider, who happens to be sponsored by another brand, have ridden the Bayonet development boards to numerous victories in the prestigious M2O and other downwind races in recent years. Traditionally the winds during this 4.5 hour +/- race average 12-15 knots. Bumps are hard to get into to and the angle of the prevailing wind is mainly from an angle or from the side presenting a greater challenge than a straight downwind course. 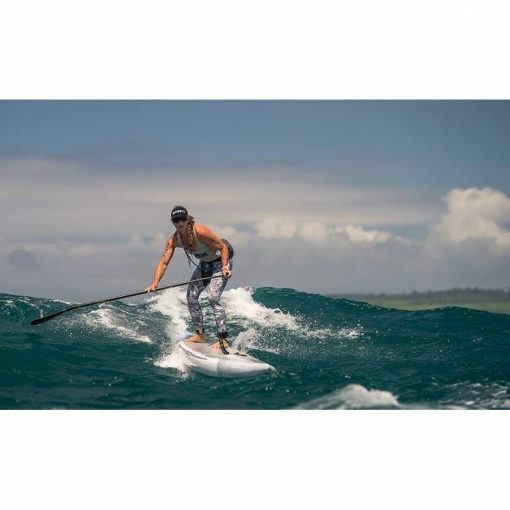 To make matters even more challenging, the competitors face confused waters towards the end at China Wall and a grueling upwind section at Hawaii Kai. The Bayonet was specifically designed to be stable, plane early in smaller swell and pierce through head- on wind and chop. As it turns out, these are often similar conditions that paddlers face on their local downwind runs (i.e. not ideal trade winds and groomed swell like a Maliko run). The Bayonet is a fast and comfortable ride. The nose is similar to the Bullet Series but with more volume. The balanced outline provides surprising rail-to- rail stability for the boards overall width. It shares a similar rocker line as the Bullet. The Bayonet Series is not a progression from the Bullet 14.0 v2 / Bullet 17.1, it is an extension, a derivative of its world-class next of kin, the Bullet. The Bayonet was tweaked and tuned to meet the needs of the SIC team and elite downwind paddlers around the world. 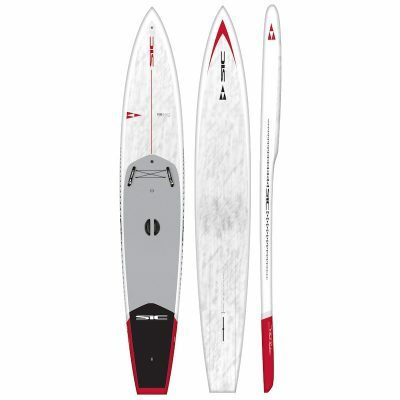 With a focus on early planing capability and increasing top- end speed, the Bayonet will surely continue SIC’s legacy of having the fastest downwind boards in the world. 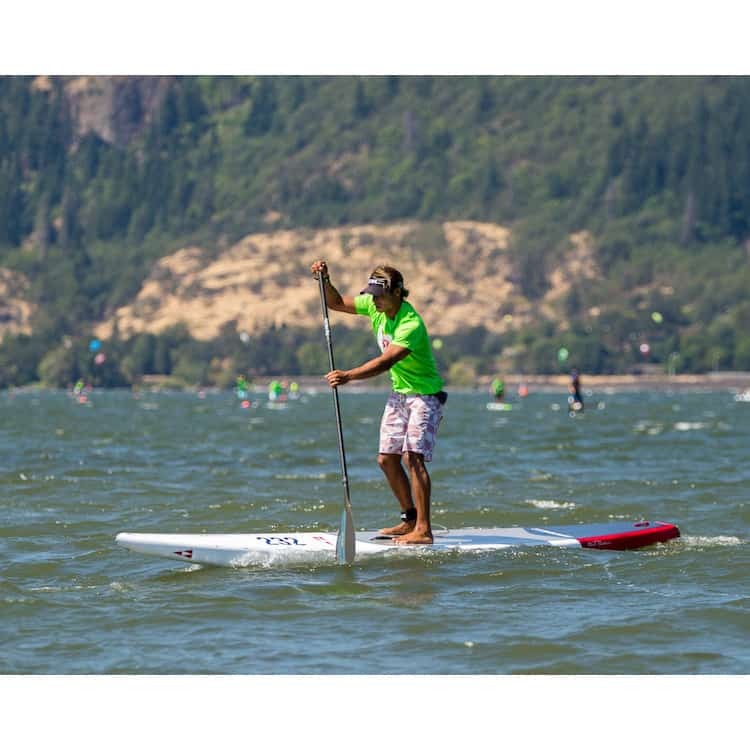 The Bullets remain without a doubt some of the fastest downwind boards in the world, however, comparatively are wider and therefore are for paddlers who want speed without giving up rail-to-rail stability. 2.299,00 € inkl. 19% MwSt.